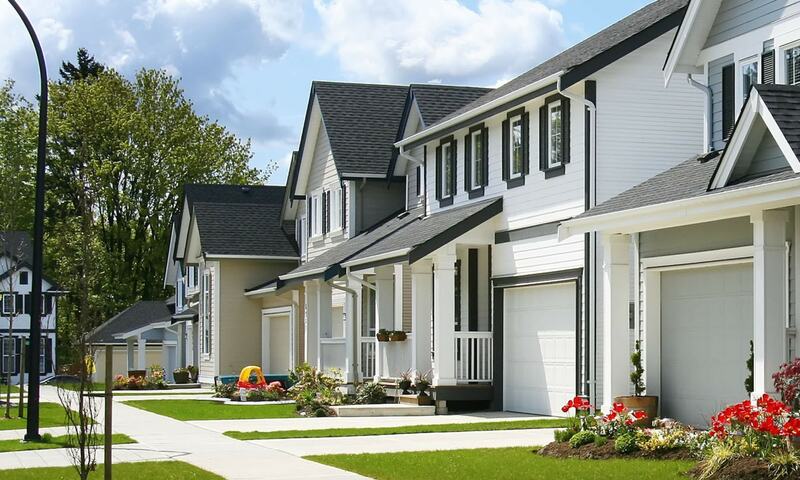 We invite you to read the testimonials from our valued clients and learn about their experience with our painting company. If you have any questions about our services or would like to request a free estimate, please do contact us. Read through our valued clients reviews about their individual experience on hiring us as their painters. I recommend PG Paint & Design to anyone looking for quality professional service. Pino knows his trade and combining that with years of experience shows excellent results, which are hard to find these days. I highly recommend this business to anyone and I am happy to give 5 stars. Good luck on your future projects PG Paint & Design. Pino and his crew painted my entire home in just a few days, they worked around my schedule and the results are amazing. My wife and I couldn’t be happier. Pino and Pina are both extremely friendly, polite and professional, they worked with me to ensure the painting was done when it was most convenient for me. I would recommend Pino and Pina to any of my family and friends without reservation. We could not be happier and we will be using PG Paint and Design for all our future paint and design projects. Thanks again, ~ Mike Tarasco from Orleans, On. Pino came through when I needed an urgent plaster and paint job. He even fixed a few other things without skipping a beat. His work is always top notch and he is super friendly and easy to deal with. PG Paint & Design have painted a few areas in our house. They have mainly taken on the difficult areas – the kitchen, the hallway and very high stairwell etc. The work has always been consistently of a very high quality. Pino has a great eye for detail and is meticulous about not only the painting, but proper prep, patching and repair work to ensure a good end result. Added to that, he also does excellent clean up at the end of each work day. From start to finish, it was a good experience working with someone so professional. I would definitely hire PG Paint & Design for any other tricky jobs around the house. I would highly recommend PG Paint & Design to anyone looking for beautiful and professional paint results. They completed the work within the time frame they gave me (unlike other painting companies that make promises they can’t keep) which allowed me to work within my time and schedule, it also made it easier to work with other contractors working in my new home. I will definitely be recommending PG Paint & Design, Ottawa House Painters to family and friends and will make them our go to painting expert. In 2012 we took on a major renovation of our home which included painting our dining room, hall, stair way, ceilings and baseboards. We started with a consultation which included recommending colours and paint products, reviewing work list and timelines. Work was completed on time and for a very competitive price. The result was an extremely professional look using quality paints that 2 years later still look so rich with our decor and our floors. The work they did finishing our over sized base boards and window and door trim still to this day takes stress away as they are so easy to clean! The trick I learned and tell everyone is that they applied a thick layer of a Benjamin Moore white gloss paint which looks totally fabulous plus the bonus is they are so durable and super easy to keep clean. We love the work PG Paint and Design did for our house, they took the pain out of painting and would not hesitate to recommend them for small and large jobs. Very friendly and very professional who respect your home, work the best they can around your living space and schedule and clean up at the end of each day. You may be so happy with their work that you may never paint again. We used PG Paint & Design for an office renovation, redesign back in 2010 when we needed to maximize our existing space to accommodate a new Team member. Considering the space was leased and we were not sure of whether we would be moving to a larger space in the near future budget and design were top priorities and the space needed to be client friendly. All the work was completed on time, on budget and there was no disruption to the day to day operation of my business for the duration of the project. PG Paint & Design have painted a few areas in our house. They have mainly taken on the difficult areas – the kitchen, the hallway and very high stairwell etc. The work has always been consistently of a very high quality. Pino has a great eye for detail and is meticulous about not only the painting, but proper prep, patching and repair work to ensure a good end result. Added to that, he also does excellent clean up at the end of each work day. From start to finish, it was a good experience working with someone so professional. I would definitely hire PG Paint and Design for any and all jobs around the house. 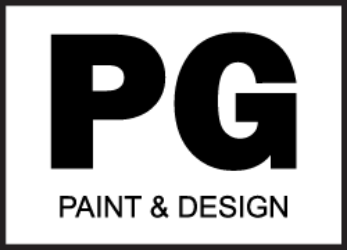 We have known PG Paint & Design for over 20 years and have used their services many times. Pino is amazing …he’s a meticulous painter who is very clean and exceptionally pleasant. He painted my parents entire home before they moved and they were also very pleased with everything. I have engaged PG Paint & Design several times and they have met and exceeded my expectations on every occasion. Pino is a consummate professional who works with you in providing sound advice in making your project successful. He is honest and trustworthy and provides fantastic follow up services to ensure your complete satisfaction. I highly recommend Pino and PG Paint & Design. You will not regret it . We have used PG Paint & Design on multiple occasions while renovating our entire house. Throughout what can be a stressful process, Pino was a consummate professional and his positive attitude and customer first approach meant an exceptional painting job was completed. From the beginning, Pino was very effective at giving advice related to interior wall repairs and painting and this immeasurably assisted our decision making. He was also very flexible, which greatly aided in scheduling work on the house. His expertise and frankly, passion meant that any sign of renovations, whether on existing plaster walls or new drywall are non-existent. Additionally, he was always conscientious in cleaning up and seeking feedback throughout the project. Pino has also worked on smaller projects for us, including re-painting vintage metal cabinet furniture. Invariably these projects are completed with the same promptness and attention to detail as the large projects. Pino was a pleasure to work with and we recommend him without reservation. Pino is a wonderful painter. Right on queue and of his word. He did some painting for my mom and she was grateful for his sincerity, hard work and meticulousness of the job. Glad we picked him as the painter, as there are so many that promise but do not deliver. Pino delivers!! Thanks again! Having moved to a new home in old Nepean recently, the home needed some prep work and a good paint job. I would recommend Pino from PG Paint & Design at any time … in fact have already bragged about his talents to my co workers. I would not hesitate to recommend Pino (PG Paint & Design) at any time. He does excellent work. Thank you again. We have had many, many occasions that required the services of PG Paint & Design over the years (The Wife likes to renovate). We have always had prompt and courteous service. The jobs are done quickly and have never failed to impress. In fact, they have corrected defects we didn’t even know existed. Client for Life! Both my wife & I want to Thank You for the most wonderful work done at our home. We are so thrilled with what was accomplished. It’s almost like being back in Italy – enjoying the world’s best art and design. We thoroughly enjoyed our time with you, including all the discussions about the important things in life like the perfect espresso. It was just like having extended family around our home which now looks wonderful. We are so pleased to have found you. Thanks for everything. Our lives were suddenly thrown into chaos and we had to find a new home quickly. On June 1st, 2011 we found our home and we had one week to get the whole house painted. I contacted Mr. Germano and he assured me that it would not be a problem. He and his co-workers were at our new house promptly and ready to get to work. The whole house was painted in a matter of days. It was a pleasure dealing with Mr. Germano and his crew. He was always reachable, and he did an excellent and professional painting job. We would very highly recommend Mr. Germano of PG Paint & Design for anyone looking for a courteous, professional painter. We have had Pino do interior & exterior painting jobs in our home. Great workmanship and a pleasure to deal with, being attentive in his work & detail. I would definitely recommend his painting services. It all began with a bet between my husband & I; “Who can get the best quote to paint our house.” It was me, thanks to PG Paint & Design! With a simple phone call, Pino was at my new place checking things out, giving me a fair painting quote and even advice on paint ideas. He was prompt everyday and most importantly, happy and friendly. It is evident he loves his job! I continue to receive compliments about the crisp lines& finish of my beautifully painted home. Thank You Pino, for making this often daunting task so pain-less! We were so pleased with the professional painting service we received from Pino when he painted our home. His knowledge and experience are clearly evident when his work is complete. He took the time to assist us with choosing the right paint colours and offered so much advice. Beautiful job and we highly recommend him! Thank you Pino! We are really pleased with the job that P&G Paint and Design did on our house in August 2016. We were under a tight time frame to get our house painted before moving the furniture in and Pino got the job done even working through a long weekend. He was very helpful with providing advice on our paint choices and colours. We would not hesitate in recommending them to others. It was a pleasure dealing with both Pino and his wife Pina. ~ Cathy W. Quinterra Court and Riverside area in Ottawa. We encourage you to take before and after pictures so that we may showcase them in our House Painting Photo Gallery and give painting/decorating inspiration to our future clients.